Everyday use of Windows gradually clogs up the operating system in the background. Loading new items of software especially tempting freeware and unloading or deleting old software that is being replaced can all leave traces behind unknowingly. These little pieces of software or files should have been deleted but they are not due to the inefficiency of the Windows system of deleting old files. All these little extra bits tucked away in the registry and other areas gradually slow your operating system up. A once fast computer becomes slower and slower. The only solution is to clean up all those bits and get rid of them. SlimCleaner does this for you quickly and efficiently. It gets in there, gives your system a good clean, and gets rid of all manner of leftover files. SlimCleaner helps to optimise your system efficiently. What makes it special is it uses community powered feedback to know what is best needed to get optimal cleaning done and gain a better performing computer. Because of community ratings it’s easy to tweak your auto start-up list where programs load automatically when booting up. Many programs when first loaded onto a computer, add themselves to the list automatically, starting up when you boot your computer. Too many adding themselves to start up drastically slows your start-up time until it takes several minutes. It’s difficult to know what is necessary in a start-up list and what can be disabled, so only the programs that should be are in auto start. Community ratings in SlimCleaner from other users help guide you and show you how important the auto starting programs are. You can then click the supercharging button automatically disabling non-essential processes preventing them from ever restarting automatically again. There are two modes in SlimCleaner, novice and expert. Novice mode allows you to do things that will not bring about major changes. Expert mode has greater abilities to bring about changes but needing greater care and should only be used if you are confident in knowing what you are doing. 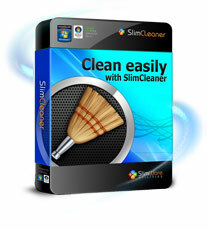 SlimCleaner is a really handy easy to use system cleaner that helps retain and maintain a fast operating system.